Since the opening of the London location in 1968, our talented Pasta Chefs demostrate a nightly Hand-Pulled Noodle Show at each location. Private party room indoors with a 60 person capacity and private bar. Outdoor private dining area for 50 persons. 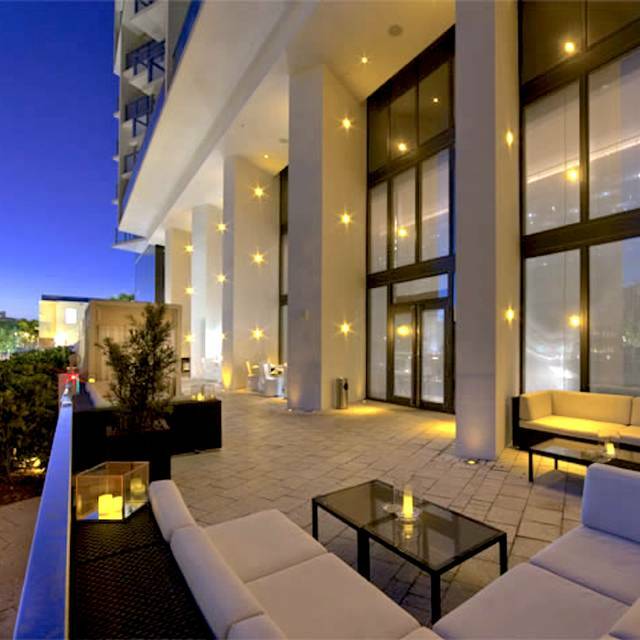 Most recently awarded the 5 Star Diamond Award by the American Academy of Hospitality Sciences for its excellence, service, and cuisine this is the newest outpost of the legendary restaurateur MR CHOW located in the chic new W Hotel on Miami Beach. 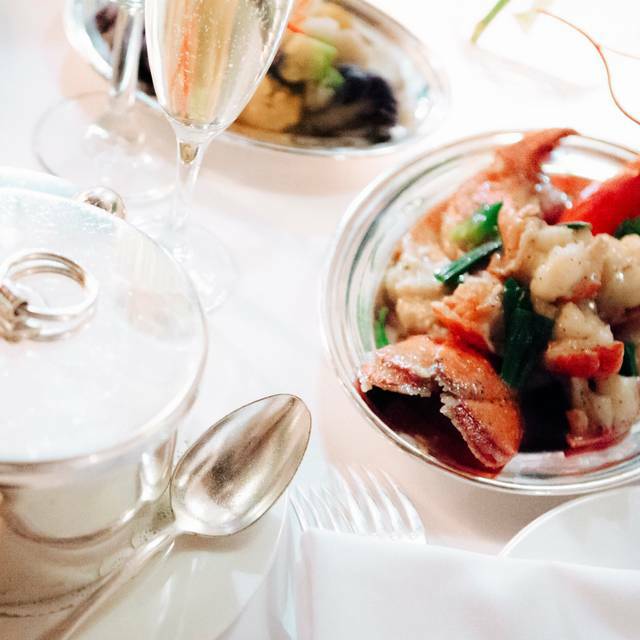 Our Executive Chefs are one of most respected chefs in Chinese cuisine. 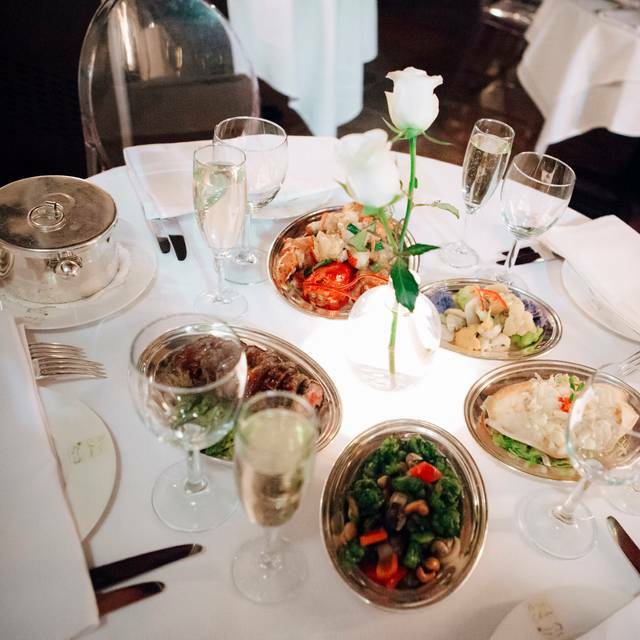 MR CHOW is a combination of old authentic Beijing, Original Recipes, and the signature dishes such as Chicken Satay, MR CHOW Noodles and Ma Mignon all were created by our passionate and skillful chefs. 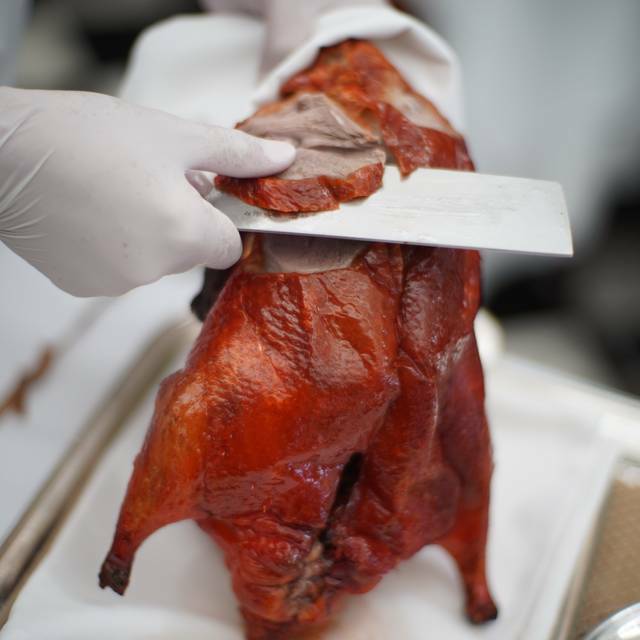 Also on the Menu is one of the best prepared Beijing Ducks in the world. We love visiting the restaurant. Very expensive, but an excellent experience all around. Great food and service. Stunning room. This restaurant was by far amazing!! Excellent service. The best duck i have had! Definitely will go back! 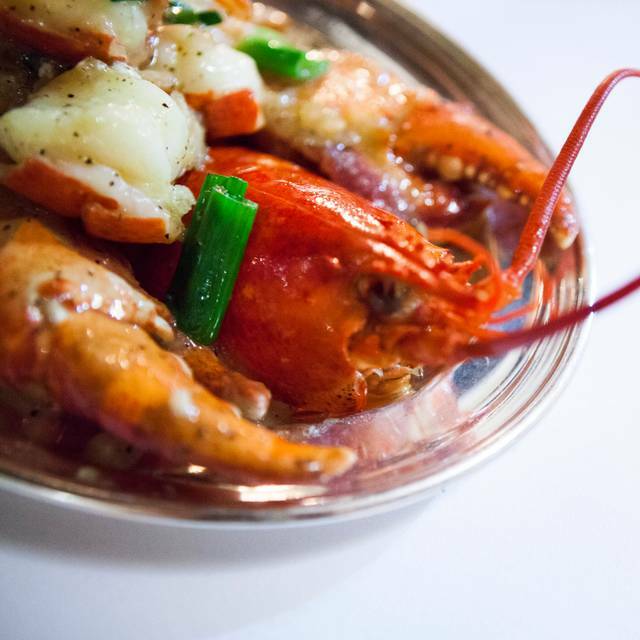 Delicious food, impeccable service. 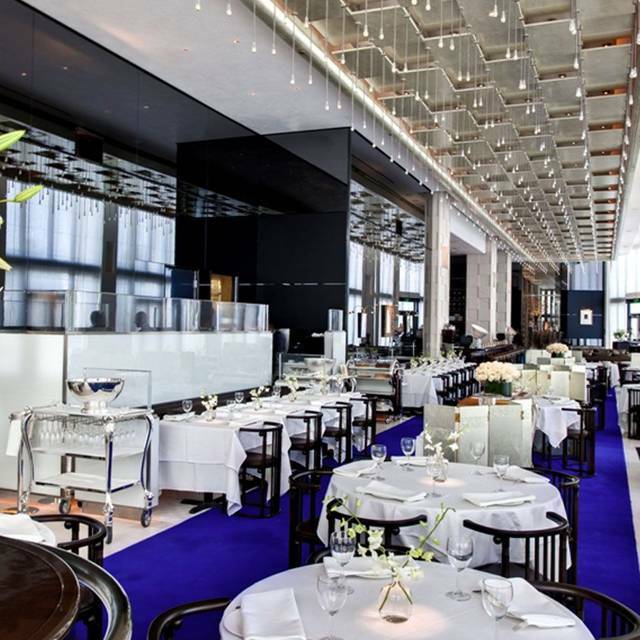 We have great dining experiences at Mr. Chow in Vegas and New York. Miami does not disappoint. Beautiful presentation. Unique foods. Excellent wait staff. Beautiful restaurant, amazing service, so-so food. It is great for almost any type of occasion. Food wasn’t fresh. It felt tired - nothing like Mr. Chow when it first opened. Food had no taste!! Ich wollte unbedingt zu Mr. Chow - weil ich es immer wieder in Magazinen gesehen habe. Ich glaube man muss auch einmal dagewesene sein, aber nicht wegen des Essens. Das gibt es bei jedem Asiaten in Deutschland wesentlich besser und natürlich preisgünstiger. I rated all categories honestly. Generally, it is a great place to try...however when they are very busy, the service is quite slow. Also, try not to sit near the huge lily pot...all we could smell were the flowers, smelled so sticky sweet like a funeral home. Good was very good, though not sure it is worth the money...maybe try Drunken Dragon instead...better experience overall though a little less glitzy. Service was good, food was extremely disappointing, portions were tiny and the food needs more flavor. Just not what it's all cracked up to be. Wish it was good, my wife and I had to leave and go eat someplace else. This was one of the worst meals I’ve had and I eat at a lot of fine dining places. I expected great things having been to Phillippe, the sister restaurant in nyc. I live and dine in Manhattan and am well aware of what the price and quality expectations should be at this type of restaurant. The menu was similar to phillippe so I was excited but the food was not even just average but BAD. The price was the most offensive prices I’ve seen at any high end spot. They also kept taking our dishes away before we were done eating which was so rude and annoying. Again the food was BAD and especially bc it was SO UNBELIEVABLY EXPENSIVE. Do not spend your money here. Please let me spare you the $250 bill for mediocrity. Spareribs, minced beef patties fantastic, esp. with the sauce. Potstickers were ok. Seabass delicious, lambshank flavorful, sweet and sour pork ok. Desserts amazing, had chocolate mousse cake and key lime pie. Waitstaff knowledgeable about the food and drinks. Thumbs up to Mr. Chow. What a complete rip-off. 3 adults and 4 kids ages 11 and under. Over $700 for horrible Chinese food. Extremely small portions, everyone left hungry. This place should be shut down. Zero value for the money. Save yourself the hassle of going here...if you want better Chinese food go to Panda Express. I don’t care about spending a lot of money on good food but this is robbery. I read the reviews and still went. I’m an idiot, don’t be an idiot. Service was awful. Read my note almost every night in Miami and this was this clearly and mom call service experience I was told that the service was awful but I wanted to try it myself I will never be back. Had been looking forward to trying Mr Chow. 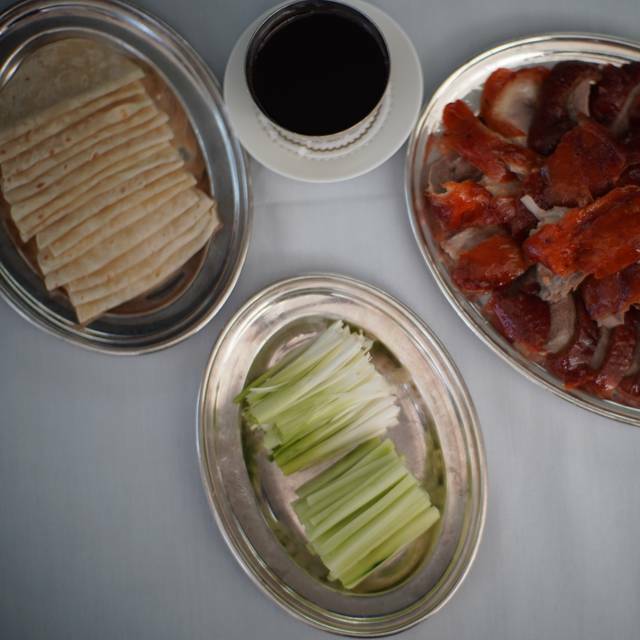 Few real Chinese food restaurants in Miami Beach. We were very disappointed in our experience. The service was fine as was the wine we ordered. The chicken satay was basically cold, tough and almost inedible. The noodle dish appetizer was tasteless. The shrimp spring roll was a small shrimp in a crunchy fried wrapper-no ‘spring’ or chopped vegetable here as with most spring rolls. 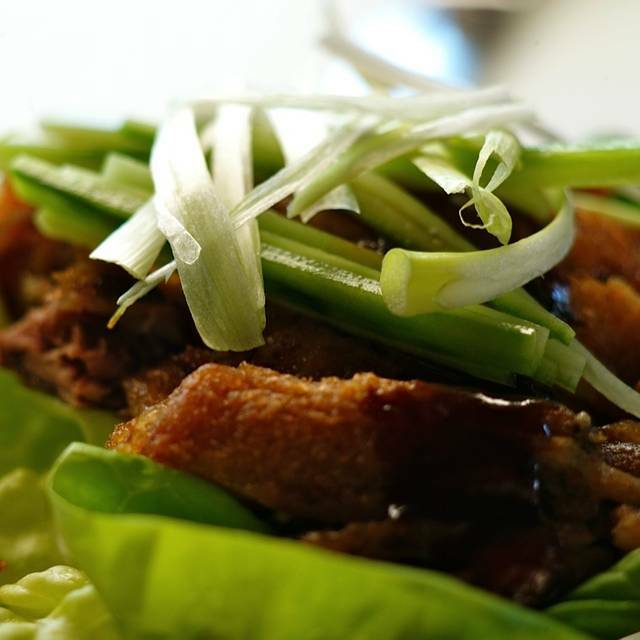 The crispy beef was like eating leather swimming in a spicy sauce. Wasn’t even identifiable as beef. The sweet and sour chicken was saucy and the chicken again was rubbery. Not to mention that each dish was quite small for 4 people to share. The worst part were the prices. Outrageous for the quality and quantity of the food. Will never go back and will tell friends not to fall into the trap, which is what Mr Chow is. After this last experience I can officially say Caio to Mr Chow and put this establishment the “never again” list. We ordered Chicken Joanna for over $42 (for a chicken dish, really?) and looked at it in disbelief when it arrived. This was the tiniest serving of an entree I have ever experienced in any restaurant anywhere. We live in Manhattan so we are no strangers to 4 star restaurants and the prices for entrees. The difference is they generally give you what you pay for in terms of both quality and quantity. Mr Chow has evidently developed a new mission statement, namely “rip off customers while on vacation because they won’t care”. Well, guess what....this was Saturday night at 8am at the height of the season and the place was only 30% occupied. So clearly this “take no prisoners” and give diners tiny portions has caught up with them. If that experience wasn’t bad enough they proceeded to “validate” my valet parking ticket which meant that you have to pay $19 instead of some more outrageous fee (no this is not Manhattan!!) We waited 20 minutes and still no sight of my car despite the place being a ghost town. After the valet manager decided not to apologize and instead become defensive and belligerent I got in his face until the W Hotel manager came outside upon hearing the commotion. The valet supervisor lied to the manager and claimed it was only a 10 minute wait until I showed him a time stamped receipt which confirmed it was over 20 minutes. I called him a lawyer and demanded my $19 paring fee back. The manager instructed the valet supervisor to do so. In short, the evening was a disaster. 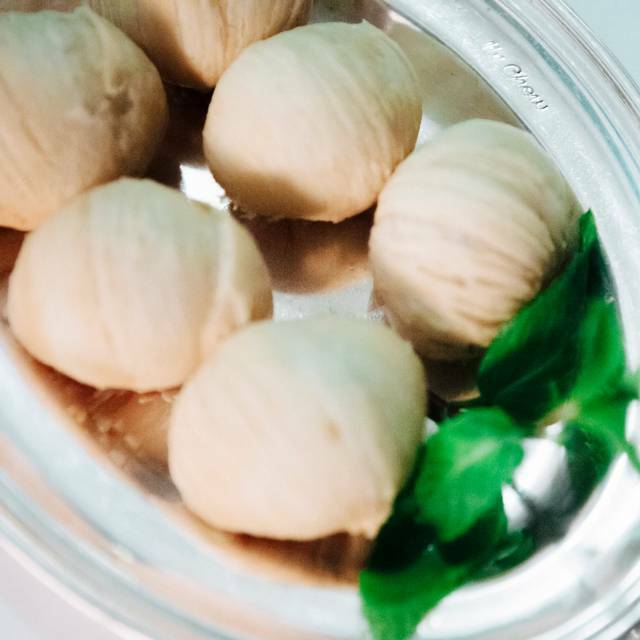 If you want to get ripped off for overpriced tiny morsels of food and then lose $19 to boot unless you are willing to get into a fistfight with a bunch of lazy misfits spend a night at Mr Chow. When we arrived on time, they couldn’t tell us how long we had to wait for a table. There were at least 20 people waiting before us. We have waited 30min for our table and decided to leave. I don’t understand why they are taking reservations... Really bad experience! Food was good. Service was ok, felt rushed. Also had to ask for a drink three times before receiving. Service however, the food wasn’t good. Menu selections were good but, food was tasteless. Too loud/ too expensive/ very complicated menu- service not at all service oriented to customer. Food was on the floor next to table but prix fixe menu was 110$ !!!!! Overall- a very bad experience geared towards hype and not on quality and service! A very unromantic Valentines day from Mr Chow!!! Went for Valentine’s Day with my wife. The restaurant would not allow my wife and I to order the same entree. They said chef does not allow and we have to order different food although they only had special menu for Valentine’s Day and only one fish option and neither of us eat chicken or meat. The food was extremely tasty but portions were extremely small. Service was slow. Brought my wife’s food 15 minutes out before mine. Excellent staff. Staff clearly actively engaged and supportive. Great recommendations to us first timers. We will be back again! The food was overpriced for an average value. The ambiance was good, but I was not blown away as I expected to be based on all the raving reviews I read beforehand. The service, however was great, nothing to complain about there, but if I am ever in Miami again, I definitely won’t be going back. Amazing as usual ! Such of good food, good staff and great atmosfere ! We loved there. I don’t know the name of the person who served us but he was sooo nice to us. Perfect! The only thing I would say about the restaurant is that it’s very noisy we couldn’t barely hear each other!